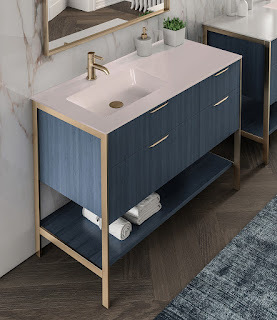 Did you know that the new Kubitop sink from LACAVA fits on most standard vanities? The collection features a set of functional and luxurious solid surface vanity top sinks. Sizes for the sink collection are 24", 30", 36”, 48", 60” and 72” wide and are available in both matte and glossy finishes. The K48L model pictured to the right is the 48” model and features the bowl (19" wide) on the left-hand side with plenty of counter space on the right-hand side. The collection includes the option of having the lavatory bowl on either side. Double bowl and trough bowl versions are also available! 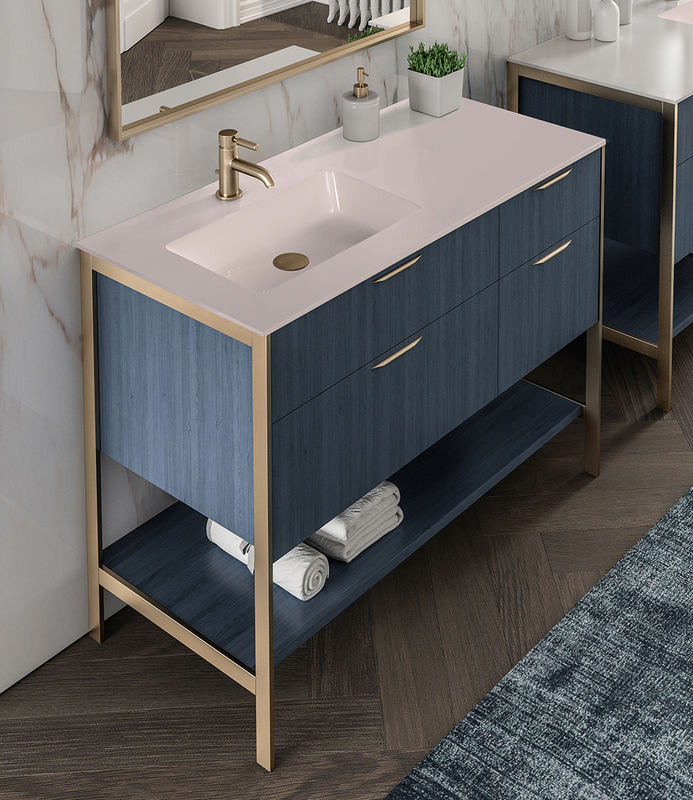 The sink is shown with a Navi free-standing vanity in horizon blue and a Cigno faucet in brushed gold. If you’d like more information or have any questions you can visit them online at LACAVA.com or reach the folks at LACAVA at 773-637-9600 or info@LACAVA.com.